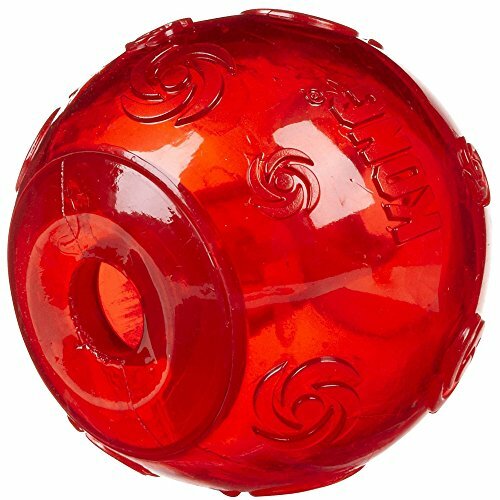 Dog ball with recessed/protected squeaker. 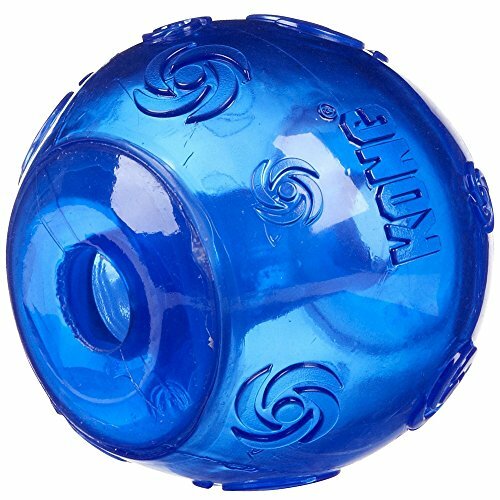 Great for games of fetch with an erratic bounce. 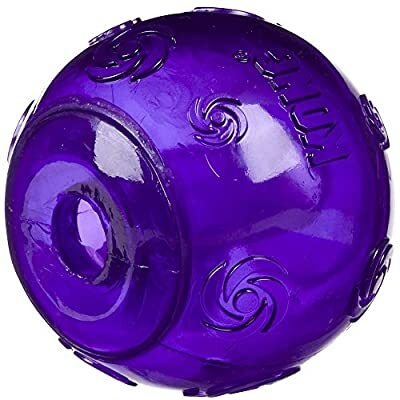 Please note that this product comes in assorted colours, you will receive a random colour.